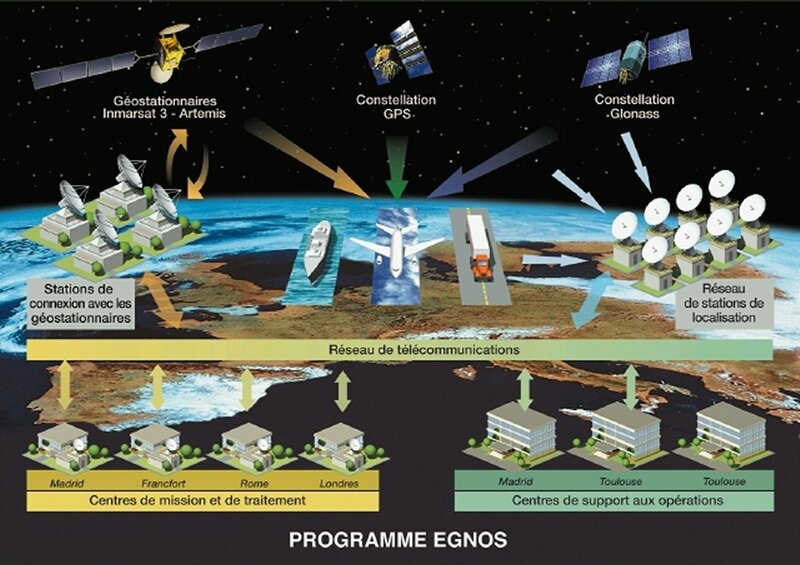 The EGNOS* PACF**, an important milestone in the development of Europe’s satellite navigation system, was opened at the Toulouse Space Centre on 24 March. This control centre, operated jointly by the French civil aviation authority DGAC and CNES, is a key component of EGNOS. The official opening ceremony was attended by Gilles de Robien, France’s Minister for Infrastructure, Transport, Land Planning, Tourism and Maritime Affairs, accompanied by François d'Aubert, Minister for Research. Conceived by French engineers at CNES and DGAC, EGNOS is designed to augment the American GPS and Russian Glonass systems in Europe. GPS and Russian GLONASS sur la zone européenne. EGNOS will enhance satellite radionavigation services by giving users the information they need to check the integrity of data received, while augmenting GPS and Glonass performance. Within the broader European framework, EGNOS is the first phase of Europe’s satellite navigation strategy. France is the programme’s chief contributor. Hosted at the Toulouse Space Centre, le PACF will plan and monitor all EGNOS operations. In particular, it will identify and process anomalies, and define corrections. The PACF's task is to keep a constant check on the system's validity and performance across the entire European coverage zone. 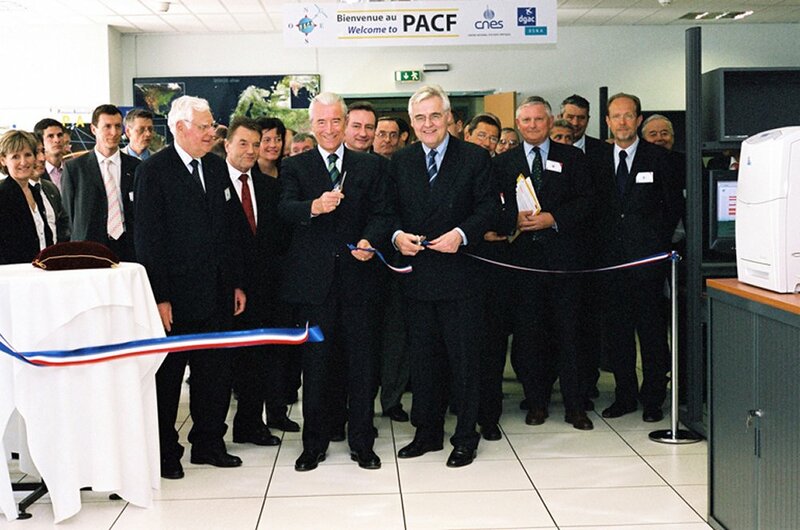 The PACF is operated jointly with DGAC, the French civil aviation authority. 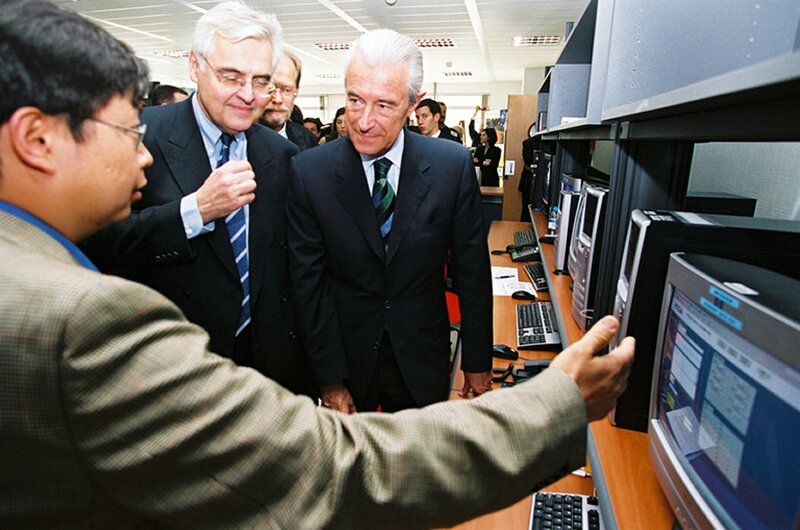 Members of the European Commission, the European Space Agency and Eurocontrol attended the opening. Industry partners were also present, along with many of the region's elected representatives and a broad section of the national and local press. The two ministers, Mr d’Aubert and Mr de Robien, each received a GPS receiver from Mr Bou, representing Thales. Mr d'Aubert underlined the importance the European Union attaches to the EGNOS programme, the first stage in its radionavigation strategy, the next stage being already well underway with Galileo. Mr de Robien thanked all those who are working to affirm France and Europe’s place in the satellite navigation programme, and stressed the importance of satellite navigation applications in a range of sectors including civil aviation, rail and road transport, and tracking of hazardous materials.